What if you could bottle the Akasha Center approach? We did. Akasha Naturals is the first supplement line developed by a multidisciplinary team of board-certified medical doctors and recognized practitioners in complementary modalities from nutritional therapy to traditional Chinese medicine. Akasha Naturals supplements are based on the latest scientific discoveries (from phytonutrients to enzymes) and the purest ingredients. Each ingredient is backed by controlled research studies you can access and read online. When we say evidence-based, we mean it. 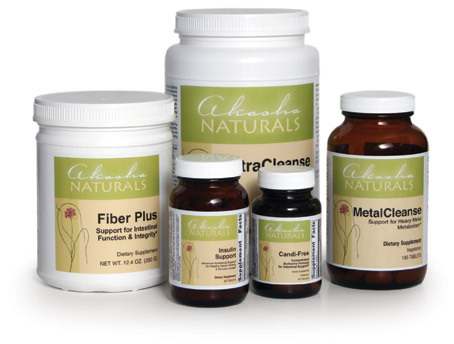 When buying Akasha Naturals products at the Akasha Center Clinic, you may return any unopened product within 30 days. Refunds will be credited back to the credit card that was used to purchase the product. If check or cash was used to purchase the product, the refunded amount can be issued to a credit card or added to your account as an in-store credit. When making a return, please be sure to inform our staff of any and all reasons for making the return. If you experience an allergic reaction(s) from a supplement(s), verified by a healthcare professional, within 30 days of your purchase, we will issue an in-store credit toward the purchase of another product.